The Cameron full size leather ottoman sleeper sofa by Lazar features the exceptional Paragon sleeper mechanism. Flared arms accentuate clean lines and a two over two design. 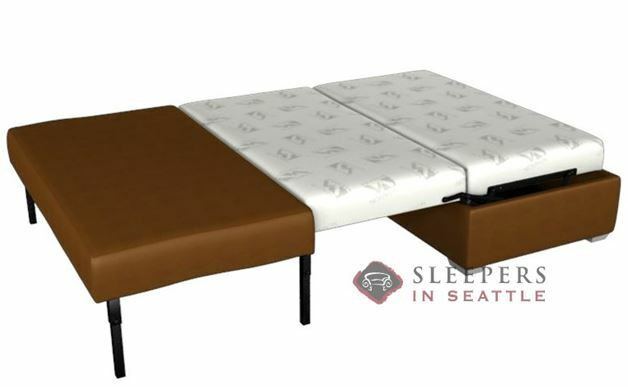 While the style and design are sure to impress, the unique sleeper mechanism will far exceed any expectations. Featuring a full 80” long bed, no bars or springs, and a memory foam mattress, the Cameron is simply unparalleled. 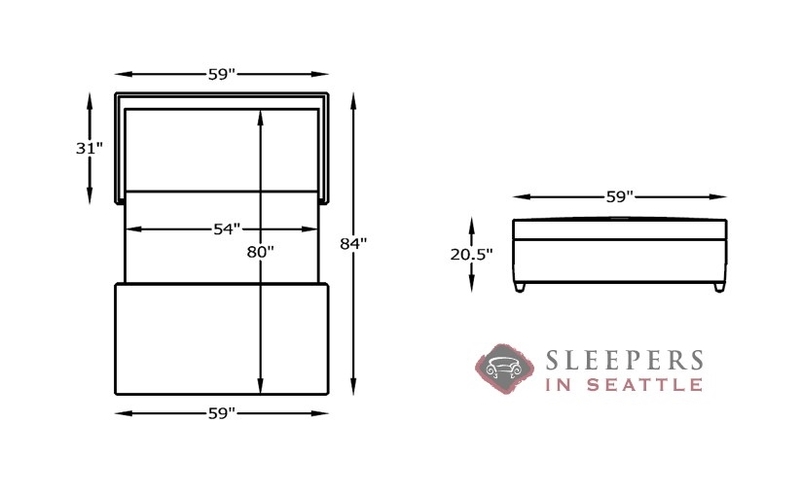 Comfortably accommodating two individuals, the sleeper will offer an exceptional night of sleep. Completely built in the USA, choose from dozens of customizable options to truly make the Cameron yours.